Kahr Arms is excited to announce the January 2018 launch of the TIG series ST9 pistol. 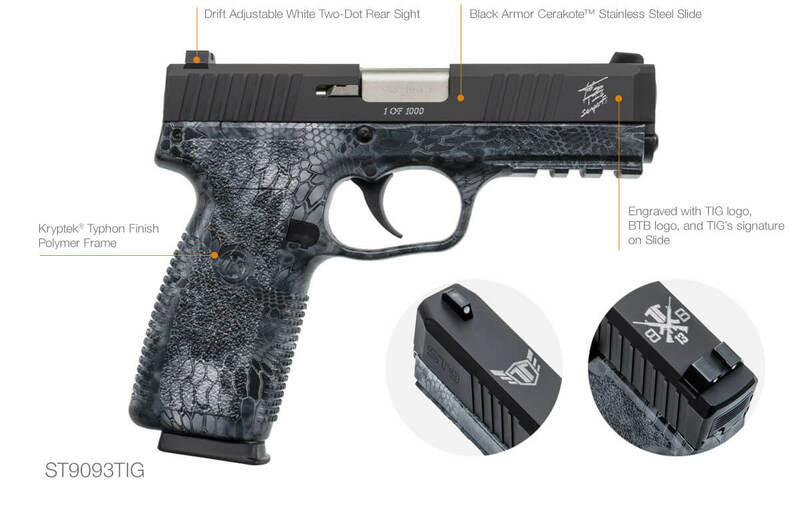 The 9mm sub-compact pistol with 4” barrel will feature the Kryptek Typhon print on the polymer frame with accessory rail, a blackened stainless steel slide, front slide serrations, and white three-dot sights. It ships with two eight-round magazines.